Sims & Edugames & Gamification – What’s in a Name? As learning technology analysts, we have to be precise. So when the term “gamification” started getting batted around, it just made me twitch. You can’t get your arms around (or quantify) a “gamification market”—the term is too amorphous to be able to develop quantitative analyses or revenue forecasts. So, pushing gamification aside for the moment, we can precisely define and analyze the Simulation-based Learning and Game-based Learning (a.k.a. edugames) markets—and we do in Ambient Insight’s 2014 Learning Technology Research Taxonomy, (and provide a lot of other free information about markets in that document, too). Why do definitions matter so much? Because you need to know what types of products, precisely, fit into which markets that interest you. Same with buyers—we identify two academic markets–PreK-12 and Higher Ed–because the buying behaviors are so different for each. Back to definitions. For us, the difference between sims and edugames is pedagogical. 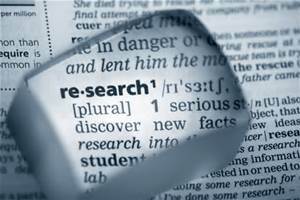 Sims: We rely on the definitions from veteran instructional designers Alessi and Trollip. They compressed the four types of Simulation-based Learning to two instructional design strategies: learn something (physical and process) or learn to do something (procedural and situational). Edugames: We define edugames as a knowledge transfer method that utilizes “gameplay” and includes competition (against yourself or others, you know or don’t know) and a reward/penalty system. Game-based learning have specific pedagogical goals, and a user “wins” when they achieve the objectives of the game. 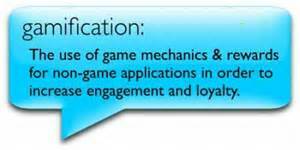 Gamification: We looked to SpongeLab, which defines it as the application of videogame rules, game mechanics and conventions (such as rewards) to a non-gaming situation. These are bolted on another endeavor, such as an employee wellness program or a loyalty program. Think Starbucks stars and free drinks. So – back to quantifying (numbers). I’ll be presenting a session July 22 at the Serious Play Conference in L.A. on the 2013-2018 Worldwide Sim and Edugame market, and a second session on the 23rd on 2013-2018 Mobile Edugame market—high level numbers, trends, catalysts, product types, buyers, and so on . We’ll post the presentations in our Resource Library where you may download them. And, no more throwing around the word “gamification,” unless you aren’t talking about the games market.